This week, we have worked on making Christmas lanterns. Out came more mason jars and paint, and now we have a set of flickering blue luminaries on our windowsill. I hope they will make our winter evenings cozier and more magical. My favourite part of this project was making the designs. I have a fascination with little town silhouettes with clock towers. So you can notice! But there are some other characters here: a reindeer couple is carrying a sleigh in the sky, and the third reindeer is hiding behind the tree on the last lantern. You can download the design here and scale to the right size for your jars, or you can make your own. 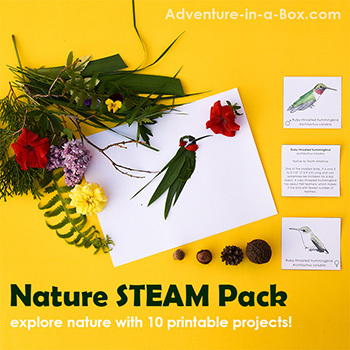 This is a good project for adults and children to collaborate on. 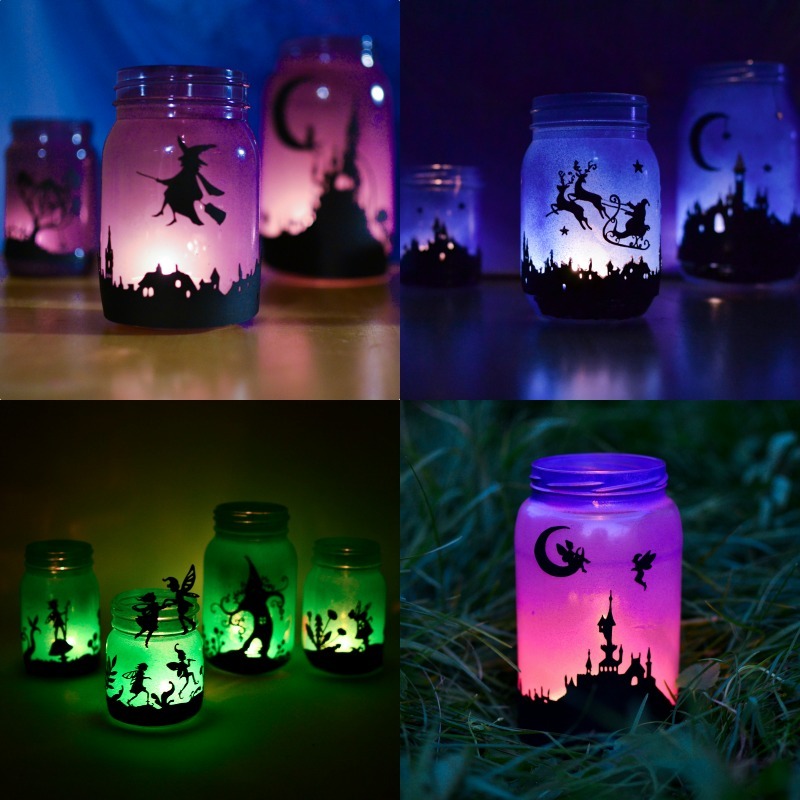 Halloween Mason Jar Lanterns: Elegantly eerie! 1. Wash your jars thoroughly as any oily residue will interfere with paint adhesion. 2. Spray paint the outsides of the jars. For this project I used Rust-Oleum Brilliant Blue Spray Paint , which gives very good coverage. It is great for most projects, but for this project you need to be careful to leave the jars translucent by spraying a thin, even layer. 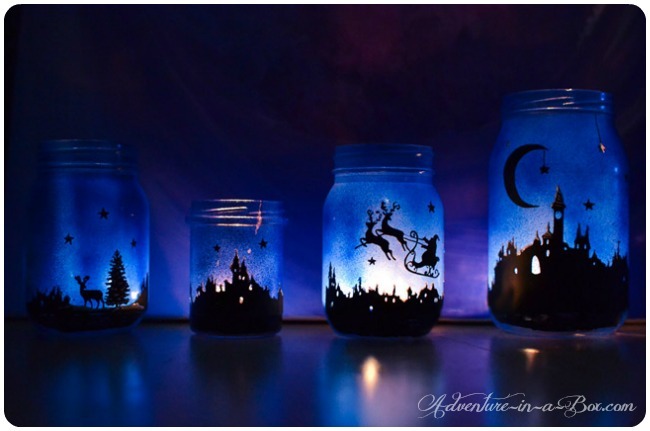 Once they are dry, drop a candle inside of one jar and see how the light comes through. If you think that one layer of paint was not enough, add another. 3. Now, there are FOUR ways of putting the design onto the jars. You can draw, paint, cut – or simply use vinyl! Depends on what you feel most comfortable with. Now it is time to put some candles in and add illumination to the room! My son was very excited to see the new lanterns. We used LED white light candles, so I wasn’t worried about him playing with the lanterns for as much as he wanted to. Afterwards, I tried going over the black silhouettes with white acrylics to imitate snow, lying on the roofs… But when we put the candles in and dimmed the light, the white was really not noticeable. So you can try it or leave it. 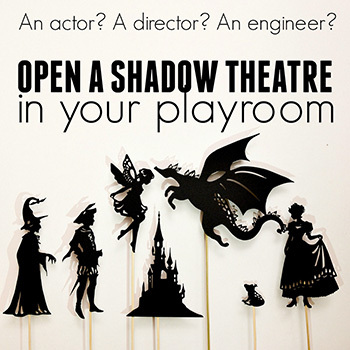 The design for this project can also be found in our Silhouette Christmas Bundle. The book is a collection of various ideas for Christmas-themed silhouette crafts—ornaments, lanterns, cards, tags and toys. Altogether, there are fifteen silhouette crafts with over sixty pages of printable silhouette designs. Print and make—it’s that easy! If you liked these lanterns, here are some more projects you can make with us! So beautiful! I would love to make this. Do you think there is a good substitute for the blue spray paint? Thanks!! Would you like a substitute for a spray paint in general, or just the blue colour? Spray paint is pretty nice for this: it gives an even and thin layer. But if it is not available, I would use acrylic paints. I tried once, but liked the spray paint version more. With acrylics, I would not use brushes, but a sponge (like a make-up sponge or a dish-washing sponge). The result would be more textured, and the light will come through less, but it should work. I made fairy catchers lanterns, and instead of spraying the outside of the jar, I mixed equal parts of white glue and acrylic paint, dabbed it on the jars with a sponge. I made 2 layers, let dry between each layer. I used white and the effect was very nice, the mix of paint stays very well on the jars. I used Rust-oleum Spray Paint (Rust-Oleum 249120 Painter’s Touch Multi Purpose Spray Paint, 12-Ounce, Brilliant Blue ). You can usually find it in stores like Home Depot. A good color other than blue? I went for blue because it seemed like a colour of winter. Purple would create an effect of a sunset/sunrise sky. But it would be interesting to see how other colours look! would it be possible go use stickers for these. I am not an artist and know I would mess it up big time. They are gorgeous!! Thank you, Ann! Yes, you can use stickers. I did not try for this project, but I think printing the designs on a piece of transparent vinyl would work well. 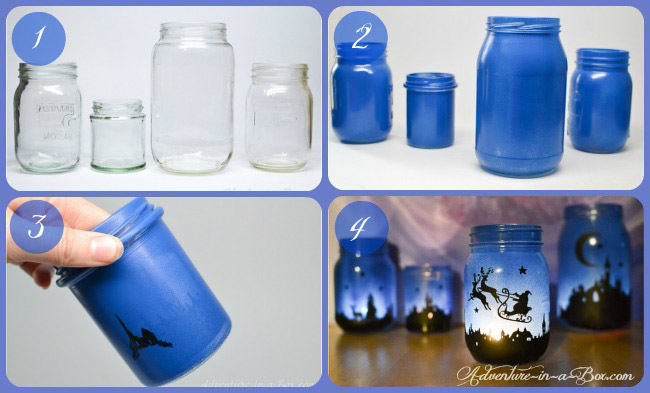 I would suggest maybe instead of white paint.. try using stickers (like stars) on the jars b4 painting them. then remove. this would leave a clear area of maybe take paint thinner or nail polish remover in a cotton swab and try removing painted areas (for snow effect) so it is clear. This way when lit everything shines nice and the clear areas would be brighter. which works nice for stars or moons. Wouldn’t the spray paint stop you from seeing the picture to trace?? If the layer is thin, you can see through enough to trace the picture. :) I think it may also help to put an LED candle behind the picture. I guess I didn’t put a thin enough layer on the jar. What do I do if I can’t see the design? Would cuting it out and tracing it on the out side work? Sorry, you had problems! You can cut it out and glue onto the outside! That would work for sure. You can also try sticking LED candle inside and check if you can see the design that way. Could you not just put a your template of the own, around the inside of the glass, but on black paper? It would still create the shadow effect. Or would this not work? How cool are these!!! Just wondering how the paint holds up once the jar gets hot from the candle??? Does it peel etc??? Hi! I love these lanterns! So cosy! Do you mind if we share this idea on our Norwegian creative site “kreativeideer.no”? That means translate the instructions to Norwegian and borrow some of your photos. 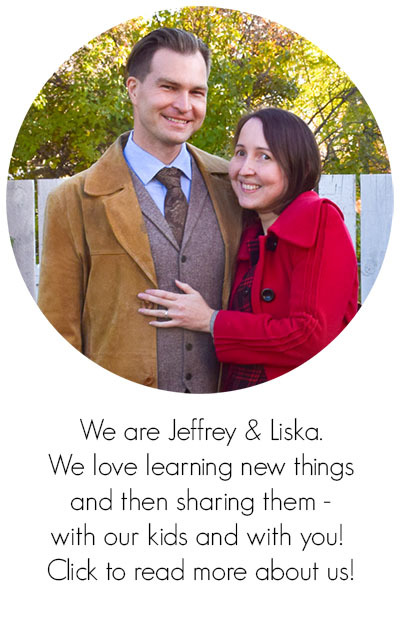 We will of course credit you with name, URL and blog name! Thank you for asking! You can share my post with translated instructions, but please, if you decide to link to the template I offer, link to my “free template” page with it here. I’m going to try this with frosting spray paint. I think it might come out nice or at least I hope anyway. Carmen, did the frosting paint work?? Hi Quantumnerd, that’s exactly right! :) I hope you will enjoy making them. Thank you, Katie! I take the pictures out once I am done tracing them. Your website is beautiful! I just did a post called “10 Fantastic Frugal DIY Christmas Decor Ideas” and I featured your enchanting Christmas lanterns. Love them! Thought you might be interested in seeing it! If you enjoy, feel free to share! Could this be done easily with black vinyl for the pictures? Could you email me the christmas template to me and I can try at home? I have the link, but if you can attach the template to the email that might work. These are so neat! I can’t wait to get your post to see what else I can make! 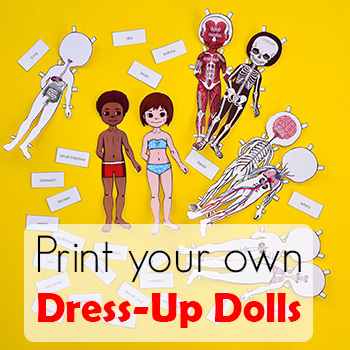 Thank you for sharing these printables. I will be doing this, this year for sure. 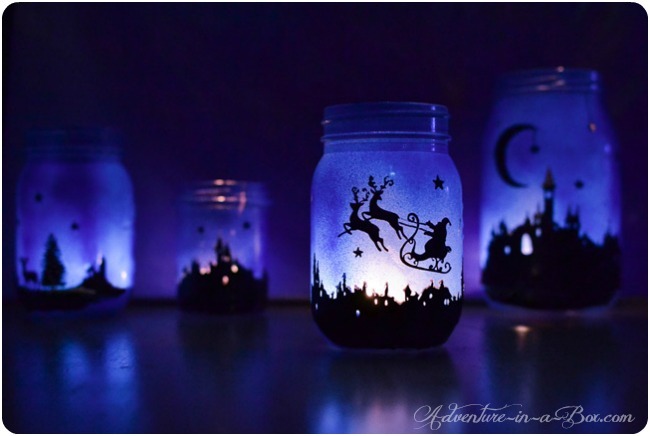 Could plastic jars be used to make these? I think so, but I’ve never tried. Would be happy to know the results if you do!